Maintaining a backyard flock offers great rewards, but it's not always easy to keep your chickens stress-free — especially when they're young. Understanding the environmental, nutritional and pest threats your chicks may encounter and knowing how to react to these challenges will ensure your chicks grow to be healthy, producing hens. 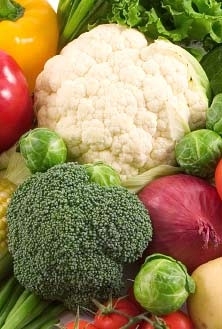 If you have a summer vegetable garden, you probably grow tomatoes, cucumbers and even carrots, but have you ever grown broccoli and cauliflower? Because broccoli and cauliflower are cool season vegetables, you can extend your garden's growing season with these delicious, nutritious brassicas. Follow these tips to grow your own broccoli and cauliflower. Pecans (Carya illinoensis spp.) 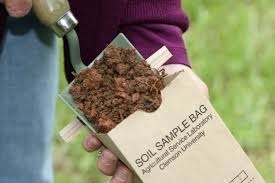 can be planted and cultivated in any soil in South Carolina aside from poorly drained soil, hardpan or stiff clays, or thin sands with a high water table. Trees should be spaced at least forty feet apart to provide sufficient room for future growth, good air circulation and light exposure. When selecting a tree for your landscape, a cultivar with good disease resistance is the most important factor to consider. Other crucial considerations include yield potential, nut size and quality, bloom or pollination type, precocity or age the tree begins to bear, and time of nut harvest. There are a multitude of reasons why a pecan tree may fail to produce either the quality and/or quantity of nuts desired. This fact sheet will cover the most common reasons for poor production (quality and quantity) of nuts. Raising chickens has become a popular activity as more people have gained interest in sustainable living. 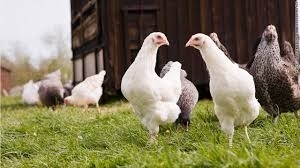 Whether you are raising chickens for eggs, meat, or as a hobby, you want to ensure that your brood stays healthy. The experts at Southern States know that keeping your chicks warm, watered and fed is the key to raising happy, healthy chicks. Just follow these tips and you will be off to a great start! The principle of testing is the same: know what you've got since looking at a bale of hay or an acre of ground doesn't tell all. Hay with a low proportion of leaves to stem can't provide the balance of energy, protein, minerals and fiber. Soils needing lime that test low in potassium and phosphorus will produce only a fraction of yield under drought or plant stress. When Mother Nature provides the rain and sun for plant growth then a fertile, productive soil responds to produce pastures of plenty. That reduces your hay purchases and gives you the best quality "hay": natural, selective grazing by your horse. Fire ants are indigenous to the U.S. However, the accidental introduction of Solenopsis invicta (red imported fire ant) into Mobile, Alabama on a cargo ship during the 1930s, the introduction of Black imported fire ants, and now a hybrid species of fire ants has changed the playing field in terms of control. The imported species and hybrid ants are still a research work-in-progress. In all, fire ants infest hundreds of millions of acres, and the United States Department of Agriculture's (USDA) projected infestation map predicts that red imported fire ants will eventually be coast-to-coast right across the south. The USDA introduced a quarantine program for imported fire ants in the 1950s. Fire ants can travel long distances when mated queens land on cars, trains, trucks, or are even carried on the wind. The aggressive ants, whose collective stings can be fatal, are causing major disruption to farming activities from workers in the fields to vulnerable livestock with infestations making some pastures effectively unusable. As the days start to get longer and spring nears, it’s time to start guarding your herd against grass tetany. Most frequently occurring in the spring, grass tetany incidents often follow a cool period (45-60°F) when grass is growing rapidly. Early grass growth may be high in potassium and low in magnesium. This excess potassium can interfere with magnesium absorption in cattle resulting in tetany.